Here’s the second of four installments of what should really be called “stuff I listened to a bunch this year” but more concisely referred to as “favorites”. In case you missed the first post, you can find it here. I’ll be back next week with the last two installments. This is a new discovery for me; I found it because the song “Holy, Holy, Holy Moses (Song for New Orleans)” appeared on a couple of Best Songs of 2009 lists. I liked what I heard and searched out the whole album and, yes. Just, yes. Ounsworth’s voice is intriguing; in places, it almost reminded me of Elvis Perkins, with this low, gritty feeling and delivery. The vocals are interesting and took a few listens to grow on me, but at the end of the day, I’m a sucker for interesting voices. The album doesn’t fit neatly into one style, with the slow beauty of “Holy, Holy, Holy Moses” being followed up with the more perky almost-rocking-out song, “That Is Not My Home (After Bruegel)”, for example. You can’t pigeon-hole this album, but on a whole, it works. 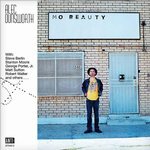 Mo Beauty was released October 20 on Anti. 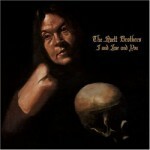 The Avett Brothers, I and Love and You. This album is positioned so far down on my non-ranked-but-still-segmented list of favorites because for me, the best song is the title track, which leads off the album. The rest of the album is still fantastic, don’t get me wrong, but I had higher hopes for it based off of that first track. I’m a newcomer to The Avett Brothers’ music, having heard a few songs here and there over the years, but not bothering to look into their music more until this album came out. I’m a fan, though, based on what I’ve heard, and the album’s on rotation on my Not iPod, so here’s to hoping the rest of the album winds up growing on me as much as that first track has. I and Love and You was released September 29 by American Recordings. Elvis Perkins in Dearland, Elvis Perkins in Dearland. This album isn’t Ash Wednesday, and with good reason. Perkins set out to make a different record entirely, and this album is overall much more upbeat… sonically, at least. The lyrics are a different story, full of heartbreak and hurt. Even the perky “Doomsday” (which gets redone into a slower version for the equally wonderful Doomsday EP) throws in the heart-wrenching reference to Perkins’ mother’s death on 9/11: “Now in all of my wildest dreams it never once did seem that doomsday would fall anywhere near a Tuesday.” Perkins’ voice gets his point across perfectly, though. His sound’s been fleshed out more on this album, with his backing band providing trombone and clarinet and saxophone, moving away from the stripped down sound of Ash Wednesday and instead making an album that’s probably as close to a celebration as Perkins can get. 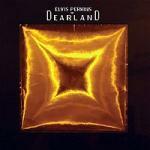 Elvis Perkins in Dearland was released March 10 by XL Recordings. 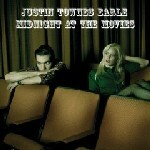 Justin Townes Earle, Midnight at the Movies. Listen to this even if you don’t like country-esque records. Midnight at the Movies is a creative, sophisticated entry into the world of modern country, and deserves to be heard by more people. S0me of these songs sound like relics from a time long ago, not songs written by a 27-year old, no matter what talented family tree he comes from (son of Steve Earle). This is a travelling record for me, the kind of thing I could imagine popping in on a long ride through miles and miles of endless corn fields or something. Maybe the next time I’m crazy enough as to drive for that long again, I’ll bring this along with me. Midnight at the Movies was released on March 3 by Bloodshot Records. The more I listen to Middle Cyclone, the more I like it. 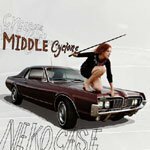 You can’t describe it as anything other than a Neko Case album. While I still like Fox Confessor Brings the Blood, this album has been growing on me. The album has been a great critical and commercial success for Neko, with Amazon naming it as its album of the year (and selling it so cheaply that I don’t know how anyone managed to make a profit) and it’s fabulous to see her getting the attention that she deserves. All of the songs on here are gems, just classic pop-rock songs carried along by Neko’s always strong vocals. Even the 30-minute sounds of nature track that closes out the album is interesting to listen to. Middle Cyclone was released March 3 by Anti.